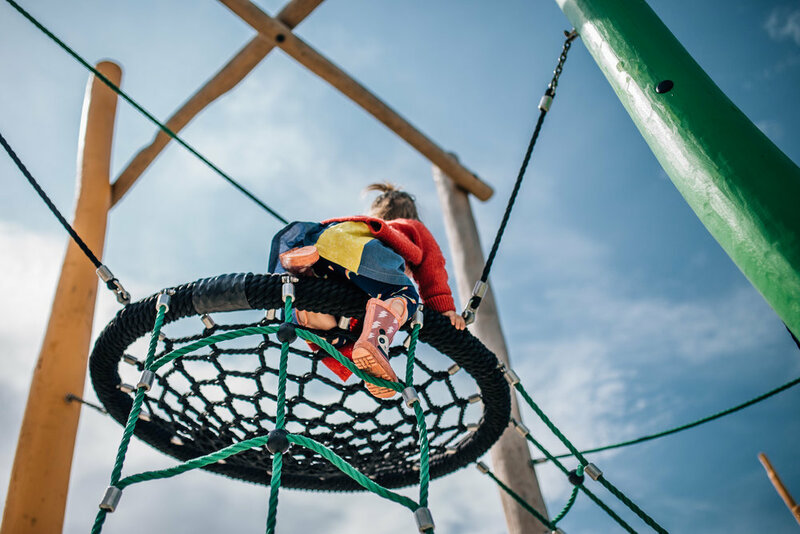 The Warralily Blvd playground boasts a climbing frame reminiscent of your best treehouse childhood fantasies. This morning's beautiful ordinary adventure was to a fantastic new playground in Armstrong Creek. The Warralily Boulevard Beach Hut Playground (named by me for its whimsical cubbies and climbing structures constructed of the most beautiful bleached wood) is a small stone's throw from the Surf Coast Highway turnoff. Guys, it is all kinds of fantastic. 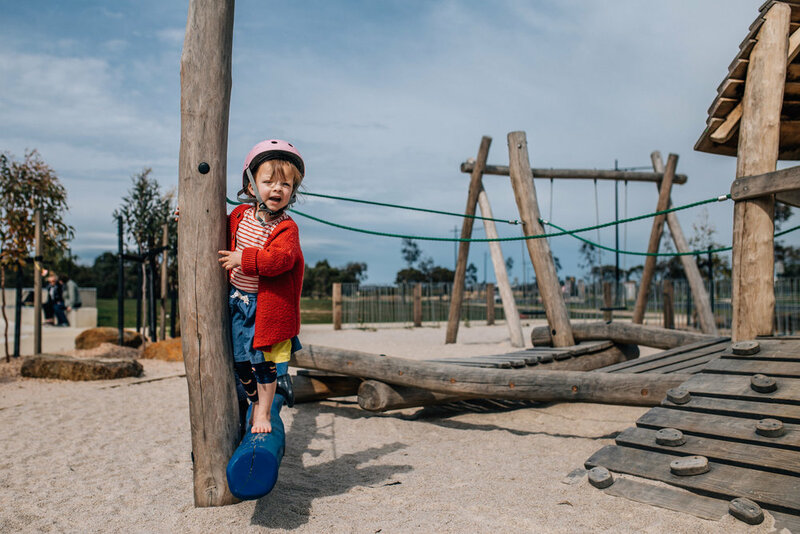 The park boasts swings, sand, water play spaces, cubbies, a wide variety of climbing and balancing structures, sensory games and an EPIC flying fox. 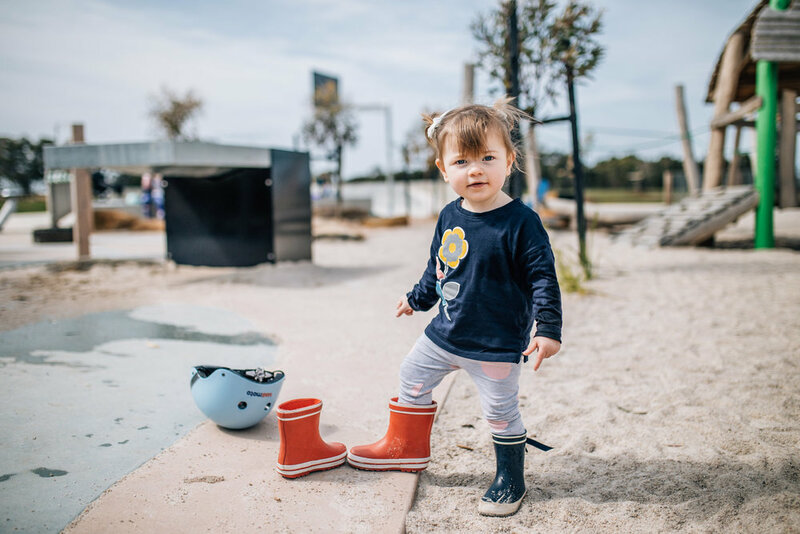 As well, there's a skate park, a mini road designed for riding, skating and scooting (complete with traffic signs and authentic markings), and an eclectic collection of tree stumps and smooth rocks for resting and imaginative play. There's also barbecues, undercover picnic tables, public toilets and lots of lush grass for running, rolling and basking in the sun. 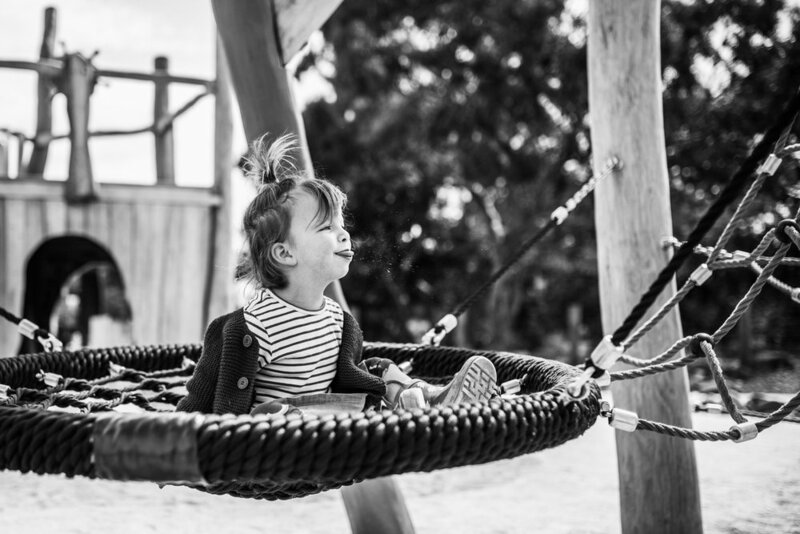 Basically, the Beach Hut Playground is the complete package. We spent the morning here with our little tribe of local besties and made use of the barbecue facilities for an early lunch of sausage sandwiches. It was such a fun and relaxing morning - everything was at our fingertips, allowing us to enjoy our visit and fully explore the play space. Some of our adventures at Warralily Blvd playground.